Thank you to everyone who attended our Open Mic Night, and a very special thank you to our performers! Stay tuned for details about our upcoming events. EngWeek is one of the most exhilarating and thrilling times of the year! 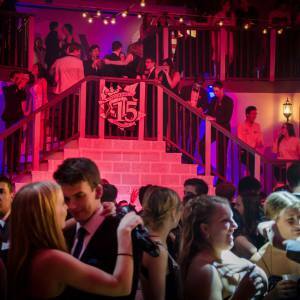 It is held in the second week back from winter break and can be thought of as a second frosh week of sorts. There is a different event every night of the week that will cater to all interests! Come out to a few, or all of the events and take part in this great week! Battle of the Bands, Bubble Soccer, and an All-Ages night are a few examples of what this unprecedented week is comprised of. If you are interested in planning and marketing such events, EngWeek will be hiring a committee come October to run the show. If you are creative and want to get involved, look out for info about EngWeek Committee positions in the AllEng, TIFR, or send an email to engweek@nullengsoc.queensu.ca with any questions you have! The Festival of Cheer (previously the Festival of Carols) is a 73-year-old event organized by the Engineering Society. It is an opportunity for students and members of the Kingston community to come together, sing holiday tunes, listen to musical groups, and spread cheer during the holiday season! This year, different on-campus religious groups will share how they celebrate the holidays. The event is followed by a reception with yummy baked goods and hot beverages. Admission is free, but donations to the food bank are encouraged. This year’s event will be taking place on Sunday, November 25th at 7:30 pm in Grant Hall. We look forward to seeing you there! For more information on this event, please contact this year’s coordinator. Are you interested getting involved and helping out in the community? Every year engineering students spend a weekend in the fall and a weekend in the winter volunteering in the Kingston Community. The Fix n Clean event will be running again this Winter on February 9th and 10th, 2019. Online sign-up will be made available soon! 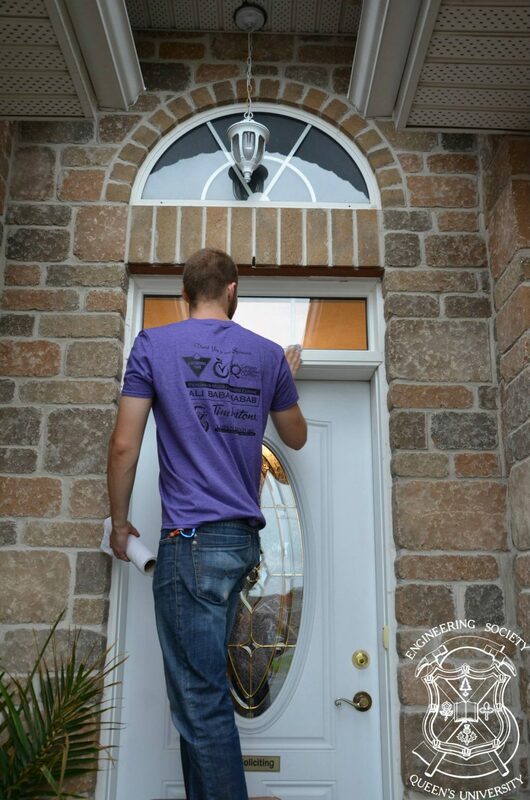 Volunteers assist elderly, disabled, and less advantaged people with simple yard work, household chores, window cleaning and painting at various households in Kingston. It is our hope to significantly increase the size of this event so come out and volunteer for just an afternoon or the whole weekend to make this event “larger and better than ever.” Sign up anytime by yourself or with friends. It’s a great way to get involved! If you are a student looking to volunteer this year please email this year’s coordinator through the contact info below. Include your name, the time slot(s) you are available to volunteer and if you would have access to a vehicle. Vehicles are needed to transport groups of volunteers to each location. If you are a community member who is looking to invite a group of Queen’s engineering students to assist you with those jobs you can’t do alone, please contact this year’s coordinator information below. Please include your name, address and details of the task you would like help within your email or phone message. The Engineering Society runs events throughout the year in partnership with the Engineering Wellness Centre to spread mental health awareness. The Engineering Wellness Centre (EWC), located in Jackson Hall room 208, is a new initiative by the Faculty of Engineering and Applied Science working to improve the wellbeing of every engineering student through open dialogue, resources and support. 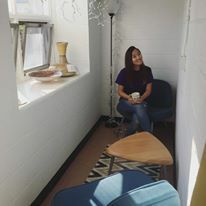 The centre is staffed entirely by upper year engineering students who are available Monday-Thursday from 3:30-9 and offers a safe space for students to relax and talk about what’s on their mind. 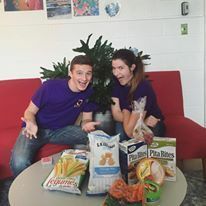 Events that will be run throughout the year include Blanket Fort Building Contests, Puppy & Dog meet and greet, Mental Health Workshops and more! For more information, you can visit the Engineering Wellness Centre’s Facebook page here. Sci-Formal started around 1903, then called the Science Dance. The first Science Dance was held in the drafting rooms in Fleming Hall, later moved to Grant Hall. It seems to have been a fairly subdued affair, meriting merely one line in the Journal. It doesn’t take long for the Sci-Formal to gain a bit more coverage. In the early part of the century, the lights in the university were fed from the storage battery in Fleming Hall. Maintenance turned the lights off at two o’clock in the morning every day. At two o’clock, the night of the Science Dance, the lights were shut off. This caused little trouble for the students who swiftly pressed candles into service. Needless to say, the administration was displeased and in later years the lights were turned off. Each year the graduating students choose a theme for the event and Grant Hall is decorated according to this theme. The signature piece of the Formal is a huge structure in the center of Grant Hall that varies from year to year depending on the theme. Recent Formals have celebrated such themes such as Sci 09’s James Bond, with an airplane and two watch towers, Sci’10’s Ancient Wonders, with the beautifully elaborate hanging gardens provides the graduating students with invaluable experience in design, construction, creative thinking, problem solving, leadership, and teamwork. With a budget of approximately $80,000, one year to plan, and a little over 600 students in attendance, it is an incredible event, marking the culmination of 4 years of engineering at Queen’s in a truly one-of-a-kind way. 2013 Science Formal: Vegas Baby! Each year, the Engineering Society plans and hosts the Terry Fox Run at Queen’s University. The Terry Fox Run is extremely well known by both the student community and the Kingston community. The event takes place in September and all money raised from the event goes towards the Canadian Cancer Society.